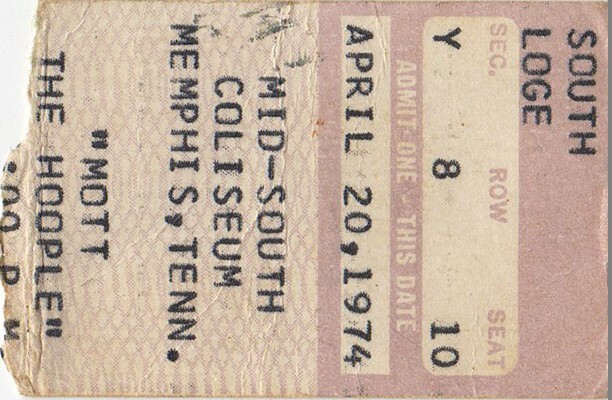 The band apparently performed Mad The Swine at this show. It was recorded during the debut album sessions, but didn't see the light of day until it was released as a bonus track on the 1991 Hollywood Records remaster of the album. 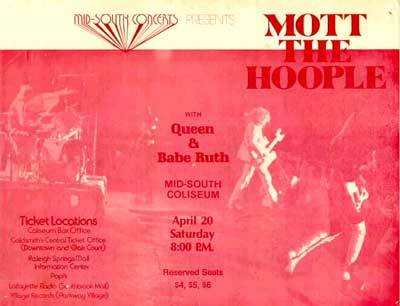 In a 2017 interview with Steve Jones Brian May recalled the effect watching Mott The Hoople perform All The Way From Memphis in Memphis had on him. This picture was snapped during the day by legendary photographer Bob Gruen.